While most of the world was concerned with the premiere of a certain dragon-packed HBO show, the rest of us were gagging over the first trailer for Big Little Lies season two. Unlike Game of Thrones, Big Little Lies is a girls- and gays-only event, so cishets please go back to Westeros where you belong and leave the ladies of Monterey to us. With the first shot of an overcast sky and the sounds of dreamy, atmospheric rock music, we were instantly transported back to a world of private schools, flawless blowouts, and murder. The trailer opens with the liars themselves — Celeste (Nicole Kidman), Bonnie (Zoe Kravitz), Madeline (Reese Witherspoon), Jane (Shailene Woodley), and Renata (Laura Dern) — attempting to return to their normal lives with the spectre of their secrets hanging over them. The group have now been dubbed the “Monterey Five” (lol, why?) after witnessing (and, as the audience knows, causing) Celeste’s husband’s death last season. “It’s gonna get us all,” insists Bonnie, to Madeline’s confusion. “What are you talking about,” she asks. “The lie,” Bonnie answers, and all of us little liars (unofficial Big Little Lies stan name) take a shot. But it’s not just the news and the rest fo the PTA these women have to worry about, because hello Meryl Streep. The greatest actress of our generation makes her first appearance as Mary Louise Wright, the mother of Celeste’s newly-deceased husband, on a mission to find out how her son died. “I want to know what happened that night,” she says over a montage of waves breaking over the rocks (classic BLL) and Bonnie, Renata, and Madeline screaming. “I’m tempted to ask you but I … I don’t think I would get the truth, would I?” Seems unlikely, girl! 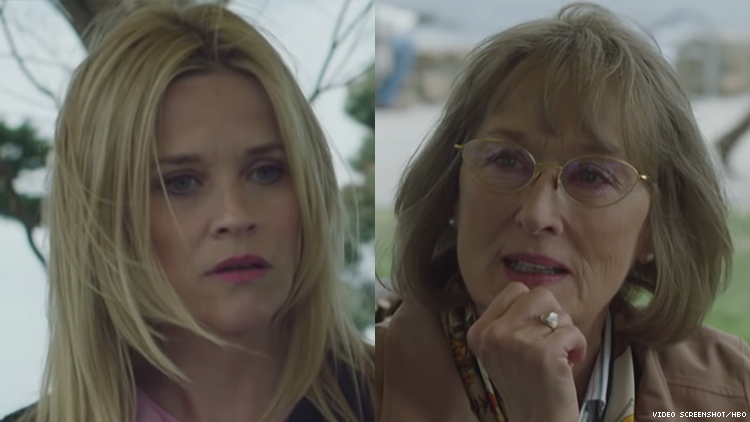 Big Little Lies season two premieres June 9, kicking off Pride month and further confirming that it exists for queers only — period.